By adding a Popup to your Website you can increase the number of visitors that sign-up for your newsletter. 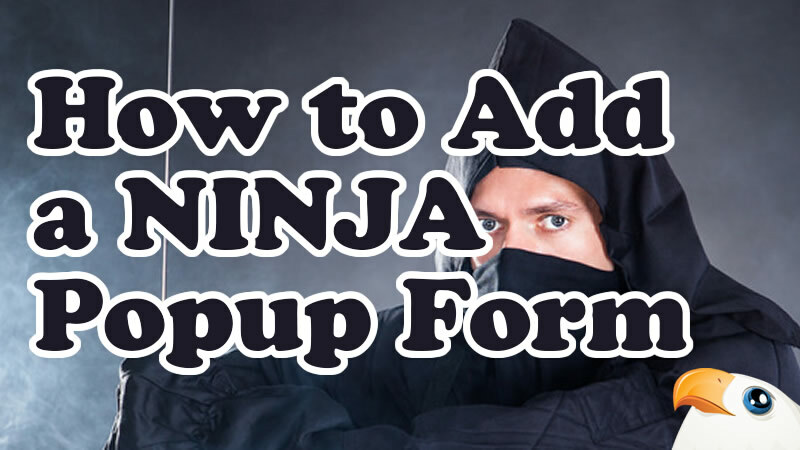 In this video we install the premium plugin Ninja Popups and configure it to show a stylish message when a visitor leaves the website. I’ve recently added it to WPEagle.com and have been pleasantly surprised with the results. If you need more themes there is theme pack available too. Good luck setting up your popups. If you have any questions post in the comments..
Everyone keeps saying you can put the pop-up on only one page but no-one explains how to do it. I’m guessing there must be some secret way coz it isn’t in the settings anywhere. you can. Disable the Welcome and exit pop-ups in the main settings then on then go and edit the page you want it on. Towards the bottom you of the edit screen you should see the ninja popup settings. Select the popup you want. If you don’t see the settings check your screen options in the top right of WordPress..